Post-nasal drip is a condition wherein an excessive amount of mucus builds up in the back of the nose and throat, causing runny nose, hacking cough and other discomforts. Mucus is a thick, viscous substance that traps pathogens before they can cause an infection. The back of the nose, throat, as well as the airways, intestinal and digestive tract are all coated with mucus. Usually, you cannot tell that the back of the throat and the nose are coated with the stuff. That’s because mucus is mixed with saliva before dripping harmlessly down the throat. But if the body starts producing more mucus, it will start dripping down the nose and throat. The medical term for the excessive production of mucus in the mucous membranes is Post-nasal drip. The tell-tale signs of Post-nasal drip are the feeling of clearing the throat constantly and hacking cough. Runny nose and hoarseness are also symptoms of this condition. In severe cases of Post-nasal drip, mucus builds up in the middle ear, causing an ear infection. Viral and bacterial infections are the most common causes of Post-nasal drip. Generating excess mucus is the body’s way of killing off infections within the body. 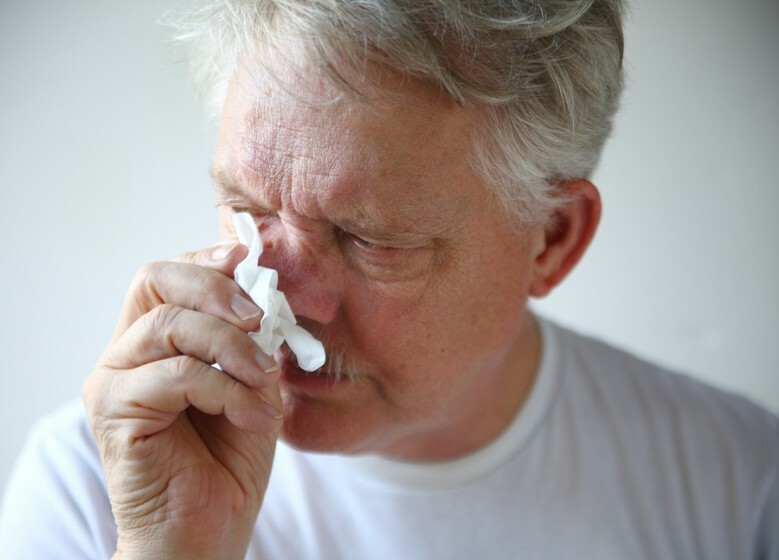 Colds, flu, allergies, and sinusitis cause Post-nasal drip. Pregnancy, certain medications, and a deviated septum can also lead to Post-nasal drip. The changing weather makes us prone to infections and this increases the likelihood of developing Post-nasal drip. There are cases wherein acid reflux in the digestive tract causes this condition. If say, Post-nasal drip is caused by viral or bacterial infections, you have to take the right meds to minimize mucus production. Over the counter cough and cold medicine will decongest the nose and chest from excessive mucus. It can relieve a hacking cough and thin out the mucus to expel phlegm easily. However, do not use a nasal spray to decongest. The spray might aggravate the irritated lining of the nose, causing pain, swelling and itchiness. Salt water is a traditional remedy for Post-nasal drip. Saltwater soothes a sore throat and gives temporary relief from Post-nasal drip. Just mix ½ teaspoon of table salt to a glass of water. Gargle for at least 30 seconds. Do this twice or thrice daily until the symptoms go away. The discomforts of Post-nasal drip are rooted in the viscosity of the mucus. When the mucus is thick, it’s uncomfortable to get it out from the back of the throat. Drinking at least 8 glasses of water, each day thins out the mucus in the nose and throat. This allows you to eliminate phlegm with relative ease. Post-nasal drip is often aggravated by allergens. Make sure to keep your home free from allergens such as pollen, dust, dander, and fungi. If you have a pet and it’s triggering an allergic attack, try to minimize contact with the animal. Also, take anti-histamines if you’re feeling an onset of an allergy attack. If you have to go outside, wear the right gears. Use a dust mask to protect yourself from irritants like smog or smoke.